By Xah Lee. Date: 2019-02-09 . 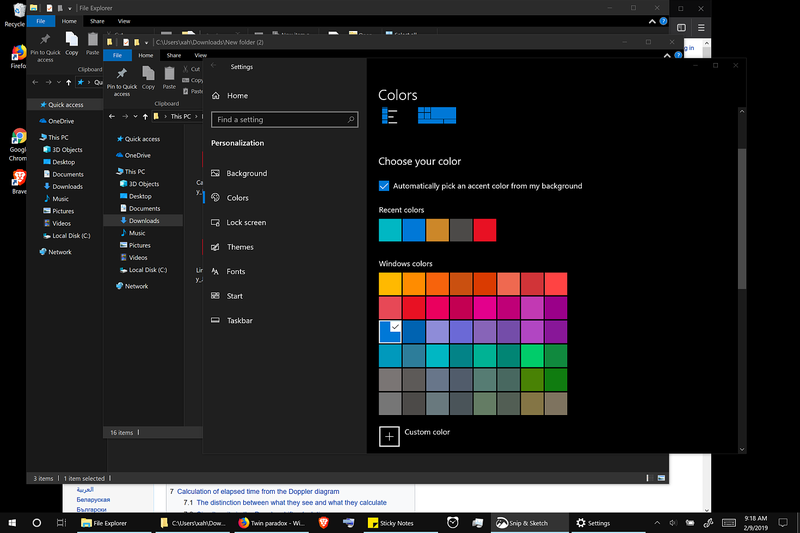 Microsoft Windows has a dark theme, that is, white text on black, since Windows 10.
the problem with Windows 10 dark theme is that, it's hard to tell windows apart. Latest macOS version “majove” copied windows. It seems, white on black made a come back. It was popular among geeks in 2000s. Arstechnica site for example, used to be white on black. Dark theme is much easier on the eyes on screen. The problem is, it looks terrible if printed, and printing web pages is still necessary especially working in office. There is no simple way to convert White on black design to reverse. Inverting colors doesn't work.